Yes! I am in domestic mediation and this is a substantial portion of my practice because I believe that mediation is a highly effective way to resolve divorce cases without going to court. I have been trained in domestic mediation and domestic violence screening through the Mediation Training and Consultation Institute in Ann Arbor, Michigan. In addition, I have completed reconciliation and Christian conciliation training through Peacemaker Ministries. Mediation is a cooperative, voluntary process by which people can solve problems outside of court. With the assistance of a trained mediator, families dealing with divorce, child custody and parenting time challenges and related issues are guided toward practical resolutions through a process that is solution-oriented, and not adversarial. Through my law office, I offer services designed to bring positive, cost-effective resolution to family law problems. Is every case appropriate for mediation? No. While most divorces can be settled through mediation, cases involving domestic violence, abuse, criminal allegations or inequality of bargaining power are not appropriate for mediation. During the intake process, every case is screened, and if your case is not suitable for mediation, I will let you know early in the process and mediation will not occur. Simply put, mediation works. The vast majority of cases can be resolved outside of court if the parties are prepared to focus on positive solutions, rather than assigning blame. In most cases, mediation is much more cost effective than going to court. In divorce and custody matters, a cooperative resolution of disputes is highly desirable. Family law cases are not a matter of winning or losing. The goal should be that disputes are resolved fairly for all parties, including children. I will strive to help you develop realistic objectives and attempt to attain them with the least injury to your family. Research has shown that people are more likely to abide by their own promises than by an outcome imposed on them by a court. In matters as complicated as child custody and parenting time, the parties may be better able than the court to come up with a resolution that addresses their individual values and needs. This kind of agreement maximizes the values and priorities of the parties. A court-imposed resolution may, instead, be based on legal principles that may seem impractical or unfair within the context of your family. A voluntary agreement reached through mediation will establish a positive tone for continuing post-divorce family relations by avoiding continued trips to the courthouse. It may also be less costly financially than a trial. Parents who litigate their custody disputes are much more likely to believe that the process had a detrimental effect on post-divorce relations than parents whose custody or support disputes are settled. When is the appropriate time to mediate? I believe in early stage mediation. In many cases, it is most effective to mediate before formal divorce proceedings are started. I find that parties are most willing to reach cooperative solutions early on. However, if you have been litigating your divorce for a while, and have been ordered to mediation, or are simply ready to try mediation as an alternative to court, I am ready to assist you. Once you and your spouse have agreed to mediate, contact me to schedule an initial telephone intake interview. If I determine that your case is suitable for mediation, I will email you a packet with further information. Even if my divorce is settled through mediation, don’t I still have to go to court? If your mediation is successful and you are able to resolve all the issues, you will still need to follow the legal process and incorporate your agreement into a legally binding judgment of divorce. I work with a network of referral attorneys who can assist you in completing the final paperwork. 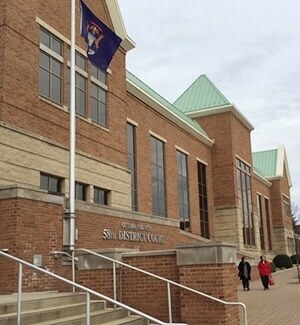 In many cases, the parties are able to prepare their own legal documents through legal self-help services at the county courthouse. Can my attorney come to mediation? Yes. If you have an attorney, he or she is welcome to attend the mediation as your legal advisor. However, you need not retain an attorney prior to participating in mediation. I charge a flat fee of $800 for a half day (up to four hours) mediation session. In most cases, the fee is split by the participants, with each paying 50%. Fees are due and payable prior to commencement of mediation. 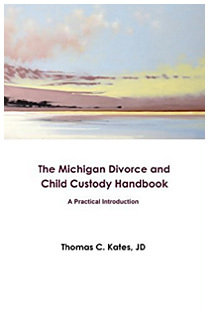 Why choose Tom Kates as a family law mediator for my Michigan divorce? I have a proven track record of resolving cases at mediation because of my extensive experience in family law and my client-centered, down to business approach to mediation. I am ready to delve into your situation and work with you toward a cost-effective and positive resolution that will be in the best interest of your children, and one that you can live with.